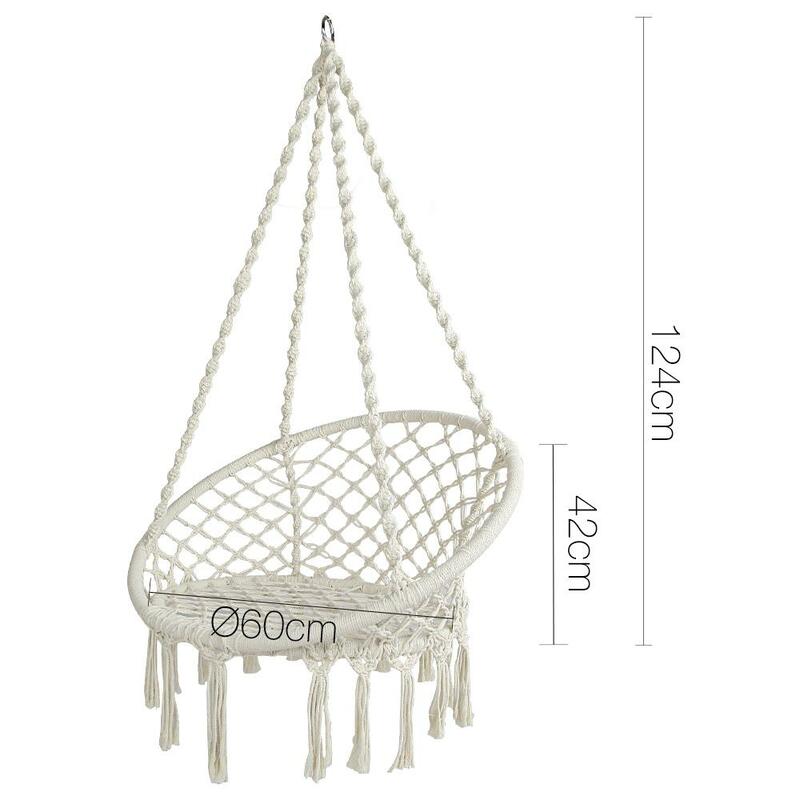 This hammock swing chair is perfect for summer days hanging out on the deck, by the pool or in your garden. 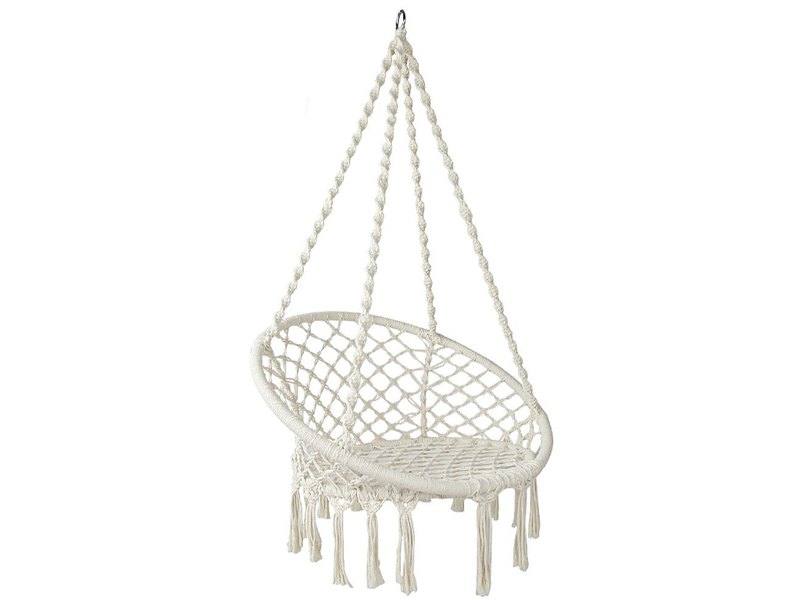 It features a lovely bohemian style that will suit any existing outdoor decor that you may have. The chair is designed to hold weight up to 120kgs and it is made from high quality polyester cotton. There is a solid timber rail so that you can sit in it securely and enjoy the summer air. A great gift idea if you know someone who enjoys spending time outside in their garden. One of the stand out features of this design is the handmade tassels. 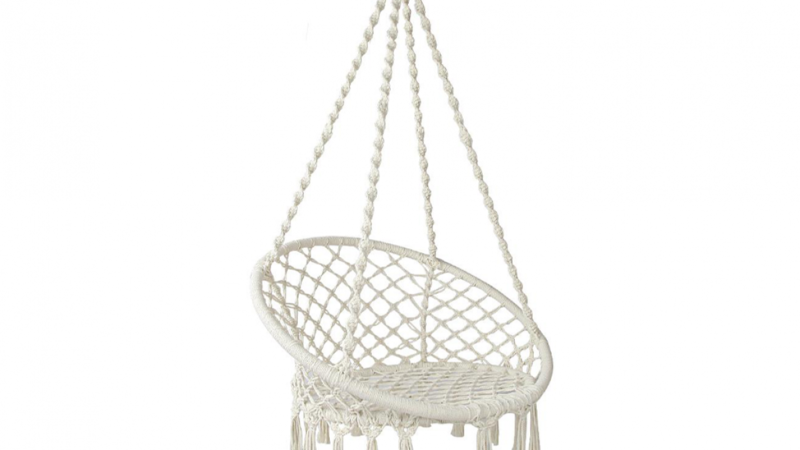 The tassels complete the look of the hammock swing chair and make it a beautiful outdoor decor piece. Durability is important and this is a durable item. The wooden rail and the soft durable fabric work together to make sure it is as strong as it needs to be. Apart from being durable, this is also quite a versatile item. It is suitable for both indoor and outdoor use so it is sure to fulfil your needs. The fabric used in the chair is 35% polyester and 65% cotton. Measurements of the overall chair are 100 x 60 x 38cms. The armrest is 40cms long and the seat is a good size for comfort at 60 x 40 x 46cms. In the base of the chair there is a cushion and it measures 40 x 24cms.